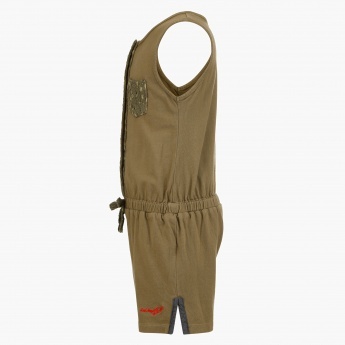 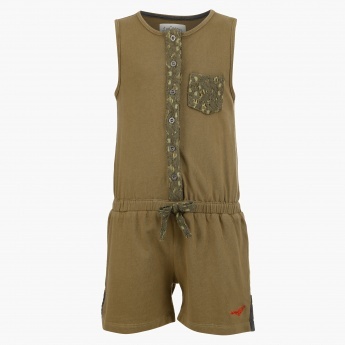 Add a utilitarian look to her style with this trendy playsuit. 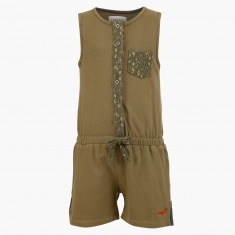 It features a sleeveless design with an elasticated waistband and a lace pocket on the chest. 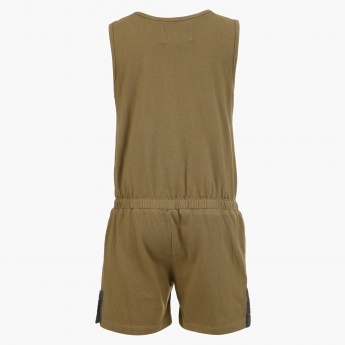 She can team it up with sandals on a casual day out.